Maya — Pura Vida Travel Co. Upon arrival in Guatemala City, grab your luggage and pass through customs on your way out of the airport where your guide and private transportation are waiting to meet you. After passing through the western highlands of Guatemala, your vehicle emerges from the mountains as the landscape reveals three powerful volcanoes floating atop the picturesque Lake Atitlan. Arrive in time for a spectacular sunset as you make your way by boat across the lake to your hotel nestled along its opposite shores. Check into your hotel and greet your fellow travelers before gathering for welcome drinks and dinner. Wake up early for a healthy breakfast of fresh fruits, granola and locally grown coffee before setting out early for the markets of Chichicastenango. Home to the X'iche Maya, this indigenous town is world-renowned for its unique open market experience. On Sundays the market is filled with tables displaying a myriad of wares from bright colorful masks, jewelry and handicrafts to various foods, medicinal plants, and spices. A microcosm of Maya life from the limestone used to make tortillas to burning candles and incense by priests outside the church of Santo Tomas, Chichicastenango offers an exchange of culture with its celebration of commerce. After lunch head back to the lodge with the afternoon free to enjoy optional activities around the hotel. Go horseback riding through coffee and maize fields, enjoy birdwatching while hiking along trails in the surrounding nature reserve, or take a kayak with fins and snorkel to explore the waters along Atitlán's shores. Join the group for a sunset yoga session overlooking the lake before dinner and bed. In the morning set out by boat for a guided tour of Lake Atitlán. If for some reason you didn't take note before, the massive volcanoes rising from the depths of the lake make their presence felt, towering above and dwarfing your passing boat en route to the other side. Santiago is your first stop, built on the side of the Toliman Volcano the town is home to one of the largest indigenous communities in Guatemala. Take some time to explore the town before following the lead of local children to the home of Maximon, the town's local saint. Next visit the town of San Antonio, known for its gleaming white church sitting on the hillside. Visit a local women's weaving co-op and learn about the importance of clothing for the Maya culture as well as for the individual artisans as a way of life. In the afternoon, visit a local school and deliver much needed supplies to indigenous school children. Volunteer your time and interact with students by helping to serve lunch, assisting with an English lesson, and helping to clean up school grounds. After dinner participate in a Maya fire ceremony, seeking to amplify intentions for clarity, peace, and protection as local shaman guide the group on this ancient path of enlightenment. Rise with the sun and join the group for a morning yoga session on the lake before another healthy breakfast. The morning is yours to enjoy the lake with a swim, kayaking, or meditation on the docks. 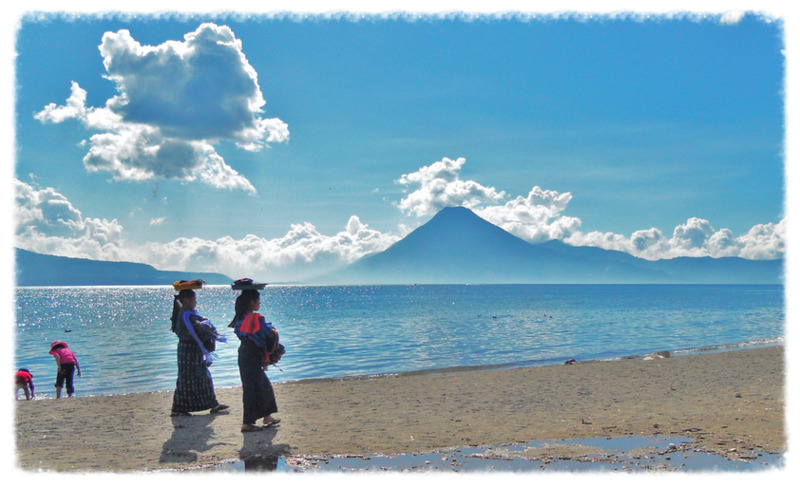 Grab lunch in Panajachel before saying goodbye to Atitlán as your group departs for Guatemala City. After a quick stop in Antigua to drop off your extra luggage, continue on to the capital arriving at the airport in time for your evening flight to Petén. A short flight brings you to the charming town of Flores uniquely situated on an island in the middle of Lake Petén. After dinner, turn in early in anticipation of the following day's activity. After breakfast, depart for Tikal National Park. An UNESCO World Heritage site, Tikal is one of the largest archaeological findings of the pre-Colombian Maya Civilization with over 3,000 structures encompassing nearly 17 square miles of Guatemalan rainforest. Enter the world of the Maya as meticulously constructed and well preserved ruins come to life during your guide's description of the temples, shrines, tombs, residences, plazas, and ball courts that once served the great civilization. The jungle may have reclaimed Tikal's great stone monuments, however their strategic placement along with glyphs preserved within, reveal the existence of a highly intellectual civilization residing in a city that would eventually become the greatest in the Maya world. After a guided tour of the major sites, enjoy lunch in the park before taking the afternoon to explore on your own. Walk the trails in search of flora and fauna including monkeys, anteaters, coatis, and over 300 species of birds. Hang out in the plaza, or climb to the top of one of the temples for some time to reflect while enjoying an unforgettable view. Transportation takes you back to Flores in the afternoon with time to for site-seeing in the city before your flight back to Guatemala City. After a long day of adventure and exploration, private transport returns you to your hotel in Antigua for the night. 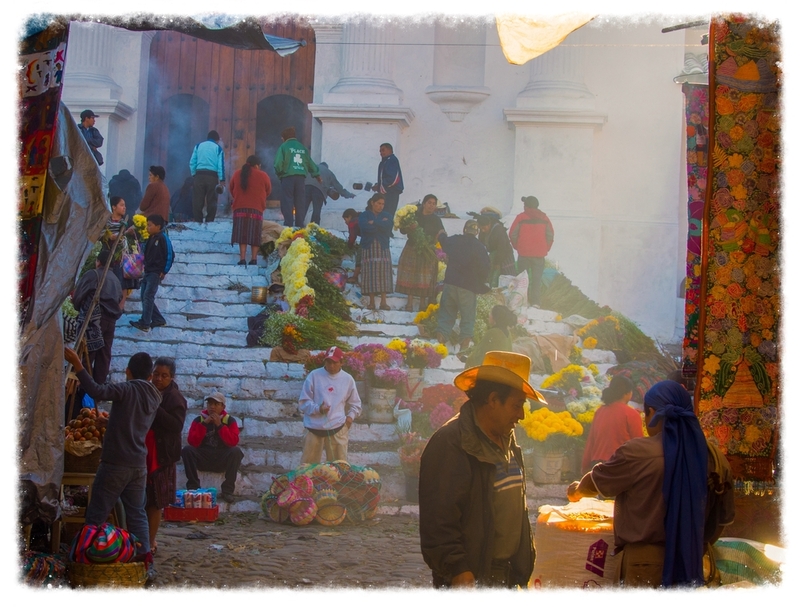 After a typical Guatemalan breakfast, set out on a guided walking tour of the city. Antigua is recognized as a UNESCO World Heritage site, known for its Spanish Boroque architecture that has withstood, not only the test of time, but also mother nature having survived multiple earthquakes, volcanic eruptions and floods. Visit City Hall, the Palace of the Captain's General, and the Cathedral before observing and learning about the historical significance of La Merced, Las Capuchinas, and Santa Clara with knowledgable information provided by your guide. After lunch set out for Pacaya on an unforgettable hike up Guatemala's most active volcanos. Following its recent eruption in 2010, Pacaya remains one of the only places in the Western hemisphere that provides reasonable access to lava flow. After a two hour hike up the massive mountain, your expert guide leads you through actual lava fields with hot rocks perfect for roasting marshmallows. While never a guarantee due its constantly changing location, flow, and direction, you may be lucky enough to walk within a few feet of actual molten lava! Regardless you are rewarded with a spectacular view of three volcanoes watching over Antigua: Volcan de Agua, Volcan de Fuego, and Acatenango along with a postcard worthy sunset as you make your descent. Back in Antigua, gather with the group for a farewell dinner before salsa lessons and night on the town. Fall asleep one last time under the Maya sky with dreams of volcanos, ruins, and wildlife discovered on your journey. Depart in the morning for Guatemala City arriving in time to check in for your flight home. 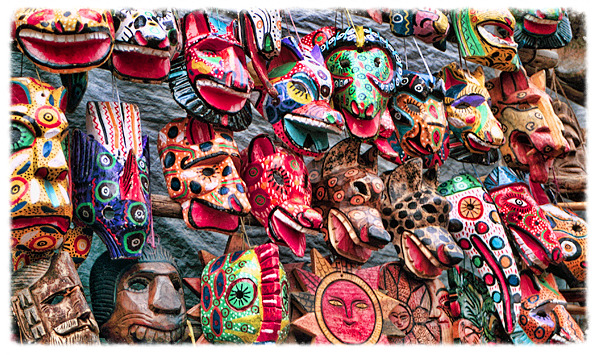 Leave Guatemala with a new found energy from this world of ancient wonders and modern marvels.